Getting the smile you’ve always dreamed about shouldn’t be out of reach based on your ability to pay upfront. At 101st Adult Dentistry, we offer many methods to help people get a variety of important dental services and procedures, including dental implants, dentures, crowns and bridges, and even standard and minimal sedation cleanings and examinations. Dental insurance—We accept a wide variety of dental insurance, and we work closely with dental insurance providers to get the best deals for their customers and policyholders. If you have dental insurance from your employer or through a private marketplace in Tennessee, there’s a good chance we accept it. 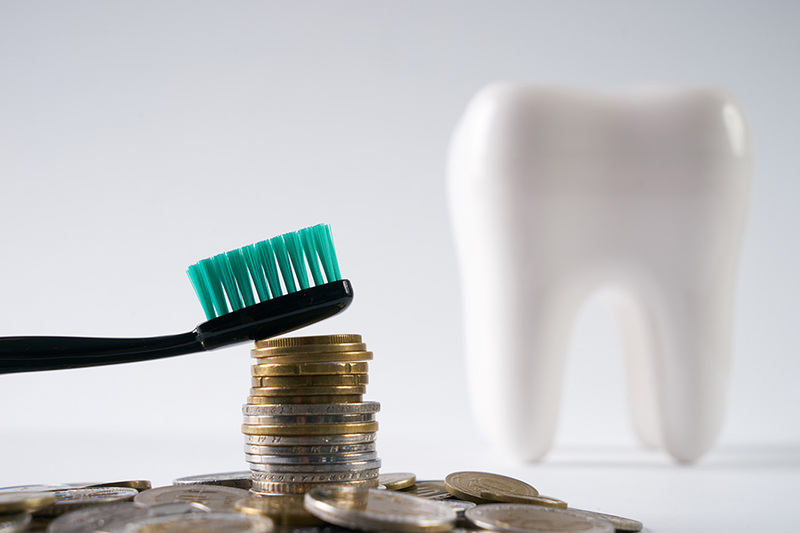 Dental insurance covers many aspects of dental procedures and healthcare, including cleanings, checkups, and examinations. It also covers a significant percentage of the cost of more intensive procedures—especially if they’re required for medical reasons. Credit cards and financing options—Don’t have insurance and can’t pay for your bill in full right away? No problem. We accept all major credit cards, including Visa, Mastercard, Discover, and American Express. We also offer interest-free financing options for patients who want other methods of monthly payments. procedure? You’ll be glad to know that we accept both cash and checks as payment options for everything we do in our office. CareCredit—CareCredit is a healthcare credit card that can be used for a variety of health-related services, including dental work. You can apply for CareCredit via their website, at our office, or over the phone by calling (800) 677-0718. The Clarksville dental experts at 101st Adult Dentistry are dedicated to making sure our patients and people in the community get the dental care they deserve. That’s why we offer as many insurance, financing, and payment options as possible. Request a dental appointment today by submitting an online form or by calling us at (931) 906-8800.